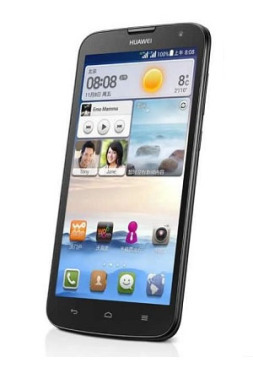 Chinese smartphone behemoth Huawei, has unveiled yet another budgeted smartphone under the name of G730 in Pakistan. The smartphone is the latest version of the Ascend G line-up. The G730 is a basically a mighty smartphone, however, some speculate it to be the successor of G610, which is the flagship device for Huawei. The new Ascend G730 is nearly similar to the previous G610, but with a plethora of new exciting features included in the new model. The smartphone is equipped with a massive 5.5 inch screen panel with qHD resolution. This Ascend G730 comes with a quad-core chipset clocked at 1.3 GHz. A RAM of 1GB and on-board capacity of 4GB alongside microSD expansion can also be found under the hood. The new device lets it user down as far as camera features are concerned. The camera is identical to the older version as it includes a rear-facing 5 MP camera with an LED flash. A front-facing 0.3-MP camera can be very handy in self-shoots and video-calling purposes. As far as the battery feature is concerned, the Ascend G730 comes with a mega 2300mAh battery. The company claims that it will be ample for a 24 hours usage. The operating system of Jelly Bean version adds more credibility to the phone as it brings in a lot of new features and applications for its users. The new smartphone from Chinese handset giant is distributed by Airlink Communication with a warranty of 12 months. At present, the Ascend G730 comes with traditional white and black colors. A reasonable price of Rs. 22,999 is tagged for this smartphone.